Travel under your own power only. If you are in the bike division, you may leave your bike and go on foot at any time. If you register as a team, stay together at all times. "Together" means you should be able to hear each other. In particular, you may not split up and visit different checkpoints, nor may some of you rest while other team members visit checkpoints. All team members must finish together, and the finish time is taken when the last member crosses the finish line, or arrives at the finisher's table. The maximum team size at Street Scramble is 5 people. We have found that it becomes increasingly difficult for larger teams to stay together throughout the event. If your group has more than 5 people, you are welcome to participate as multiple teams. Each team's members must stay together, and the teams can also travel together, but are not required to do so. Scoring: We use several different methods. At some events, some of the teams will be issued a GPS tracking device that will automatically record the team's route. At some checkpoints, a participating business will display a QR code. At the majority of checkpoints, you will not find any person or marker. If we are using tracking devices and your team is carrying one, you don't have to do anything at the checkpoint—just wait for the device to beep to indicate you have reached the correct location. 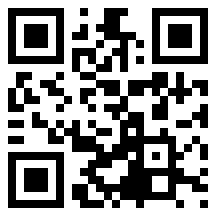 If there is a QR code at the location, you are not required to scan it, although you may. If your team is not using a tracking device, and there is no QR code, you will prove you have been there by answering a simple multiple-choice question, such as "What number is on the lamppost?" The only way you may answer a checkpoint question is by going to the checkpoint. You may not ask other participants for answers, phone or text anybody for answers, look up the answer online—not on Street View nor Wikipedia, or guess. If you are using a text-message or a QR-code-based scoring method, you may text/sumbit your answers at any time after the start and before you check in at the finish. You will get the most accurate split times if you send your answers on the spot. If you are not using an electronic scoring method, you are required to mark the answers on a paper passport/scorecard. You are also required to mark the times at which you visited each checkpoint. QR Codes: Sometimes, a participating business will display one of these at its location that serves as a checkpoint. Follow the event instructions on how to register your checkpoint visit. If you do not have the recognition hardware, you should answer the multiple-choice question for this checkpoint, either on paper or by text message. The value of each checkpoint is equal to its number rounded down to the nearest ten. Thus, Checkpoint 35 is worth 30 points; Checkpoint 82 is worth 80 points. Higher value checkpoints are not necessarily more difficult. If you answer a question wrong, you will receive a penalty equal to a fraction of the checkpoint value. For example, suppose there are four answer choices at Checkpoint 35, and you answer wrong. You will get a 10 point penalty (one-third of 30)—this is to discourage guessing. If someone were to guess all the answers, on average this strategy will yield zero points. Be back on time. If you are using a paper scorecard, the time you turn in the scorecard will be noted as your return time, not when you crossed the finish line; you may not make changes or additions to the scorecard after you turn it in. Ten points will be deducted for each minute you are late. If there are multiple divisions/event durations, you don't have to choose one before you start. Bicyclists must wear helmets and obey all traffic laws. This includes riding in the direction of traffic, signaling turns, and stopping at stop signs and red lights. Although you may break traffic laws safely on occasion when cycling under normal conditions, cycling under time pressure increases the risk that you may break a law unsafely. This is why we insist that cyclists always obey the law during this event. Please don't text and bike. Stay off private property. Don't cut across people's lawns or through their yards. Be courteous to bystanders. Avoid jostling or alarming pedestrian bystanders. If you are using a bike or a scooter, or are bringing a dog, be aware that a very small number of checkpoints require going briefly indoors and leaving bike, scooter, and dog outdoors. If you're in a team, you can have somebody stay outdoors while one of you goes indoors. Strollers can be brought indoors. There is no restriction on the use of navigational aids such as additional maps, altimeters, and GPS units. Check in at the finish, even if you decide you don't want your score tallied. This lets us know that you have not run into trouble. © 2011–2013 Get Lost!! Running, Racing, Inc.